The most commonly used therapeutic maneuver in the treatment of Benign Paroxysmal Positional Vertigo (BPPV), a commonly known cause of vertigo, which is defined as the dislocation or shifting of the inner ear balance crystals and the Epley Maneuver described by Dr.John Epley. 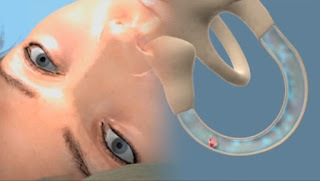 You can watch Epley maneuver video on the above. In our inner ear, there are 3 semicircular canals in a position perpendicular to each other. The success rate of this Maneuver, which is defined for the treatment of the disease of the rear canal defect, is high. Dix-Hallpike Maneuver is performed for the diagnosis of the disease, which is a separate and similar maneuver. Patients with a posterior canal BPPV may experience dizziness episodes that typically revolve around the head with horizontal head motion. In general, patients come to the doctor avoiding sudden head movement. nausea and vomiting may also occur. The best treatment of the disease is to perform therapeutic maneuvers, restraint of head movements, half vertical sleep, noise and noise stimuli. Unfortunately, this disease, which is a repetitive disease, is good and does not cause any additional adverse effects on the patient in terms of health (no problem if the patient does not hit his head or go in the wrong direction while driving a car while floating in the sea ...).